The-Union-Co-op-Model-March-26-2012 Sustainable Jobs Sustainable Communitites- the Union Co-op Model – Seminal document, very helpful and informative. Development Process – How we determine if an idea could be a successful union cooperative business. 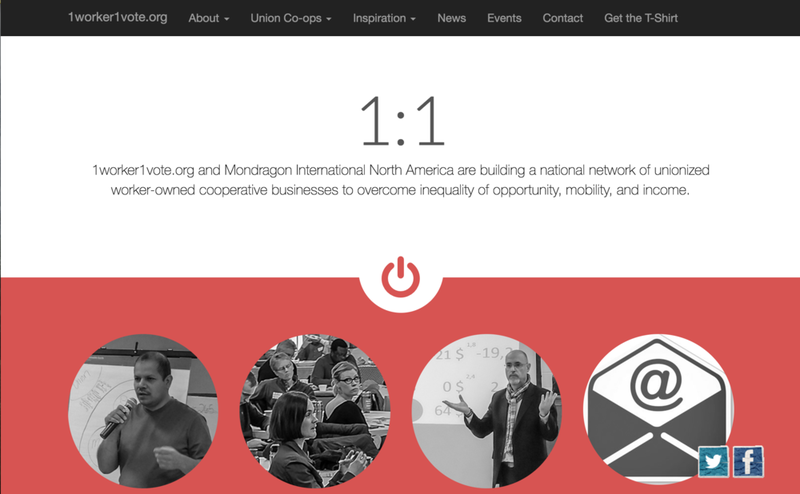 1worker1vote.org and Mondragon North America are building a national network of unionized worker-owned cooperative businesses to overcome inequality of opportunity, mobility, and income. 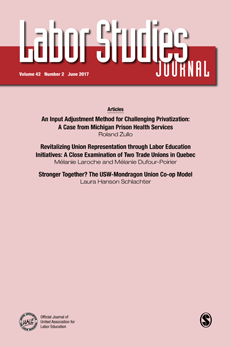 A scholarly article in the Labor Studies Journal by Laura Hanson Schlachter who studied the union co-op model and asks the question of whether co-ops and unions are stronger by working together. She uses CUCI as a case study and proposes possibilities and dilemmas of the USW-Mondragon model for worker cooperative formation in the United States. TU Lankide 100th Anniversary edition - A special English Language Edition of TU Lankide, Mondragon’s monthly magazine founded by Father Jose Maria Arizmendiarrieta 55 years ago, honoring the 100th anniversary of Father Jose Maria Arizmendiarrieta, 1915-2015, the inspirational founder of the Mondragon Experience. What’s next for the World’s Largest Federation for Worker Owned Co-ops? Mondragon Corporation – Link to Mondragon Corporation website. Mondragon 1956 – 2012 – A great introductory book on the history of Mondragon, which they created during the International Year of the Co-ops. Fagor Electrodomesticos: A US Perspective – A look at the power of a co-op of co-ops. A Letter From Mondragon - Armín Isasti, lifelong Mondragon employee, offers us some heartening words to help us on the cooperative journey in these tumultuous times. Cultivate.Coop is a library of information about cooperatives. Everything here is created by and for people who work in co-ops. You can edit and upload content to Cultivate.coop just like Wikipedia. OwningaBetterFuture.com is a blog on Worker Ownership by Rob Witherell, United SW Organizer & one of the architects of union co-op template. becomingeo.org is abrought to you by Workers to Owners, a national collaborative of leaders in the field of worker ownership who are committed to helping companies transition to worker ownership in order to build a fairer and more equitable economy. Ours to Share: How Worker-Ownership Can Change the American Economy examines worker-owned firms and analyzes their potential to create a productive, stable and equitable economy as compared with traditionally structured firms. Key Findings Here! Building a Cooperative Solidarity Commonwealth, written by Jessica Gordon Nembhard, defines a new system of cooperative commonwealth and solidarity economics, and how this system is created. African American Cooperatives and Civil Rights: Jessica Gordon Nembhard explains the huge role economic cooperation played on the civil rights movement. This report show significant disparities in men’s and women’s wages, with a significant unexplained difference in wages between men and women. This leads to hundreds of thousands of dollars lost, forcing women to either work longer or retire with less. For women of color, the disparities are even more profound.